Unleash and Soar: Start Today Living Boldly and Beyond Limits - Kindle edition by Tina Moore Brown. Religion & Spirituality Kindle eBooks @ Amazon.com. You Can Live Life Boldly and Beyond Limits! Life is meant to be lived with no regrets and no limits. Unfortunately, many people handicap themselves from living an unstoppable life because of past mistakes, setbacks, and misfortunes. The reality is we only have one life to live. Why shouldn’t we live each day boldly and with confidence? The reason many don’t is because they’ve yet to find out how to maneuver through the tough times without allowing adversity to define them. 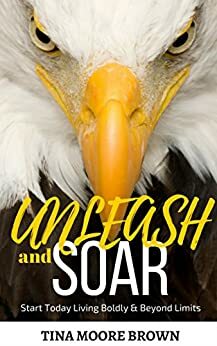 Unleash and Soar is a short read but a powerful book. 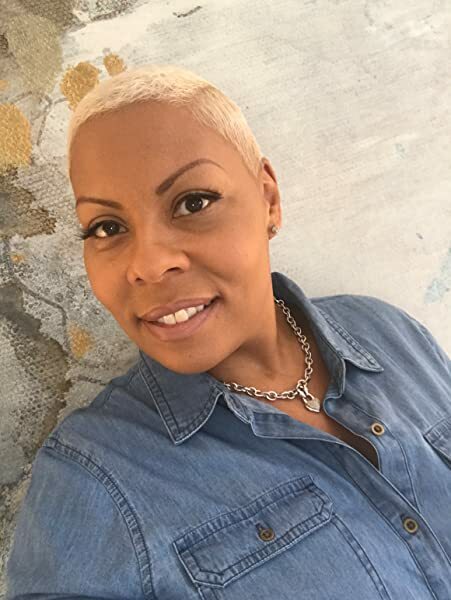 Chapter by chapter it allows the reader to take a closer look at various aspects of their life and ask themselves two questions; how can I free myself from what’s been holding me back and what steps can I take today that will help launch me into my next phase in life? There are 30 chapters that tackle different topics that you face each month. Why? Because this book is designed to help the reader make daily improvements to create a better life for themselves. Conversational chapters help the reader relate and more importantly look inward and uncover things that have been overlooked for far too long. Unleash and Soar is more than a book. It allows readers to create a space of self-discovery, self-awareness and most importantly self-improvement. Unleash and Soar is a book you’ll read over and over again. Each time you pick it up you’ll more than likely be in a different space in life. Applying the principles you learn in this book will keep you free from what holds you back and in a space to move forward. Excellent read. The book is short and precise. Definitely makes you think about what you are doing in your life. Will start to put things into practice. I really enjoy reading this book and going back in it. Tina really knows how to motivate you as reader to do new things and to do them differently. I have learned much from reading this book and have applied some of the things in my life now. Thank you Tina for the push to help me "UNLEASH and SOAR!!! Congratulations Tina! Awesome from front to back. I am so blessed to have both the hard cooy and kindle versions. Tina you are a Godly example of pushing through! Thank you for helping me Unleash and Soar!!! Tina, I am thankful to have you apart of my life. Your a great author and very transparent! I have both the hard copy and the digital copy. This book will help One see that they should never quit. This book will also propel anyone to arise and take back everything that the enemy has stolen. This will also cause one to advance and conquer! 5.0 out of 5 starsThought Provoking! This is such an INSPIRING book. It is so relevant to things that are happening in my life right now. Once you read the introduction you will be HOOKED. It is a easy read, and well written. I love the authors transparency in this book. It makes the book easy to relate to. I even got my husband reading it as well. You will not be disappointed! I have to admit there was some apprehension about purchasing and reading this book. There are any number of books entitled Unleash or Soar and I didn't want to get caught up in book generated for those 40 and younger still discovering life. This book and the format to look within yourself is excellent for all ages especially the mature individual starting over. This book allows you to both focus and be inspired.